Upper Iowa University has long been recognized for being military friendly and has a history of offering various methods of military training since the Civil War. 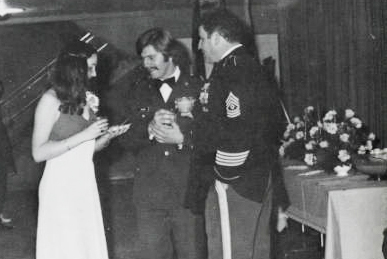 UIU Archivist Janette Garcia has collected information about UIU’s former ROTC program and military balls in the ’70s and ’80s. The article and photos can be viewed in the University’s digital archives at https://bit.ly/2TgH93r. To view additional stories in UIU’s digital archives, visit uiu.edu/digitalarchives.